You are the creator of your world whether you choose to believe it or not. All of your beliefs and the way you live affect your mind, body and soul and ultimately what you attract to you. Trinity will partner with you to transform your life by teaching you the tools and techniques you may not have learned as a child to create what you really desire. 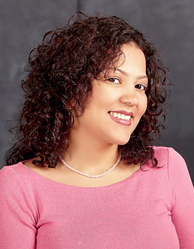 Trinity Nieves is a unique and extraordinary spiritual teacher, energy healer transformational life coach, and motivational speaker. She is a natural intuitive, and empathic. Her special gift is to energetically resonate and entrain the highest vibration of Spirit in everyone she meets. Trinity helps people release blockages in order to live a healthy physical, mental, emotional and spiritual life. She teaches people how to release limiting programmed beliefs, affirm new self-loving ones and consciously co-create a life of empowerment, vitality, success and love. An energetic, effective and committed leader, Trinity is a well-respected individual who naturally inspires people toward achieving their best. She automatically sees the big picture and will offer innovative ideas, and new and different solutions to challenges. Trinity has a gentle, outgoing and friendly nature. She is motivated to cause good, growth and gain in the lives of others. Trinity loves connecting with people to help them discover their true gifts and who they really are. She sees the beauty and perfection in everything and everyone. Spiritual Life Coaching, Holistic Learning Centers, Inc.